Celebrities guess the identities of other famous people - and must be ready to face some bizarre Q & A? Everyone knows this game: you sit in a group and stick the names of celebrities onto each other's foreheads and have to use specific questions to guess their names. 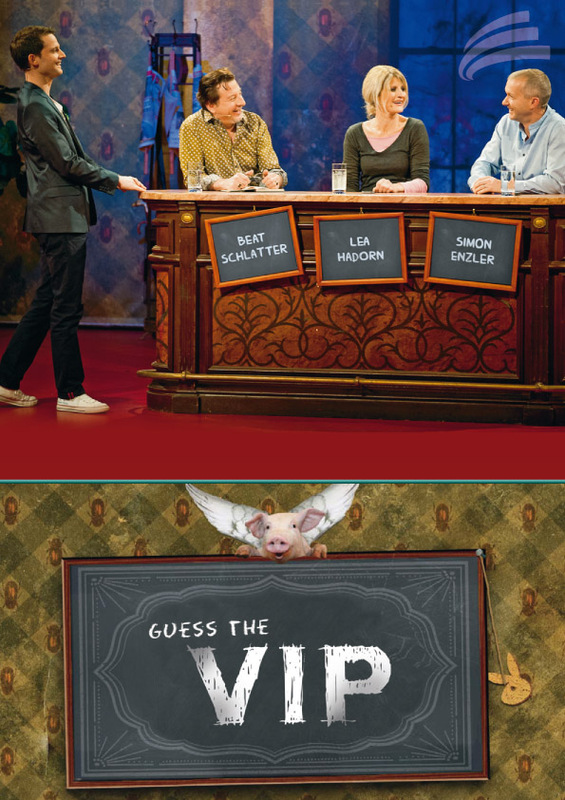 And that is what "GUESS THE VIP" is all about - only the questions and hints here happen to be much more bizarre and crazy. If this person were a restaurant - what would it be called? If this person were a reason for divorce - which one would it be? If this person were a perfume - what would it smell like? Local celebrities have to guess the name of a well-known personality featured in an image they cannot see. They can ask a comedy panel a maximum of five questions which should provide tips to the sought-after person. If the candidates succeed at guessing the VIP, they can win up to one million. The question is in which currency? Instead of the hoped for 1000 US dollars could it also be 1000 Gambian dalasi? The wheel of fortune decides.